← What to teach your 20-something self, about pensions? In the 100+ investments that I can track in detail*, half a dozen made annualised returns of over 60% from 1/7/12 to 1/7/15. In this post I’m going to examine these six investments in detail. How sensible was my logic, with hindsight? Was this skill, or was it luck? Should I have taken much bigger positions? Or would this have been just rank speculation? Let’s look at these six investments in no particular order. International Personal Finance PLC. This company essentially provides Eastern European consumers with sub-prime credit. I read a stock tip in Investors Chronicle and thought it sounded sensible so in 2011 I opened a position, into a falling market. The share fell further; I doubled up, but as it fell further I got a bit jittery. So when it rebounded in early 2012 I sold some, leaving me on 1/7/12 with ’14’ shares (quantities are illustrative, not actual), and the share price at about £2.50. From there on in I got lucky; despite various alarming headlines the share price more than doubled. 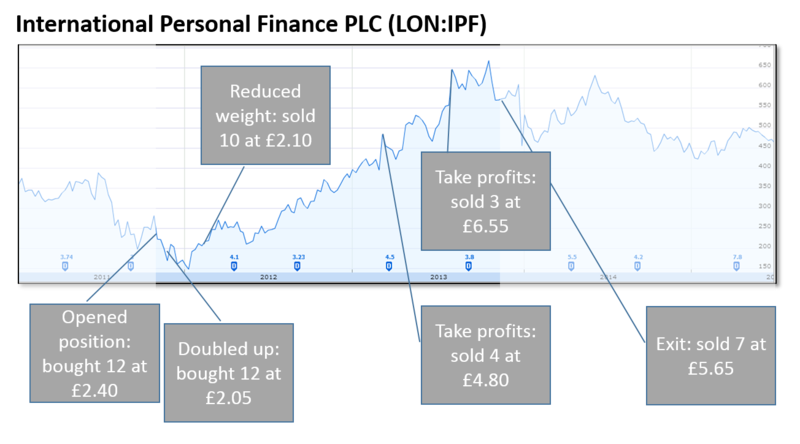 As it approached £5 I decided to take profits, selling ‘4’ shares which was enough to almost recoup my initial purchase. 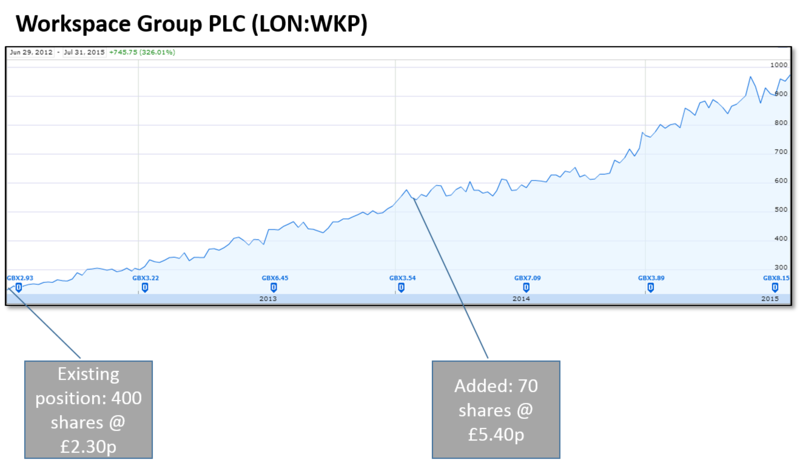 When the shares popped to £6.55 I got greedy – but it’s never wrong to take a profit, right? – and sold ‘3’ more at £6.55. This left me essentially now all in profit. 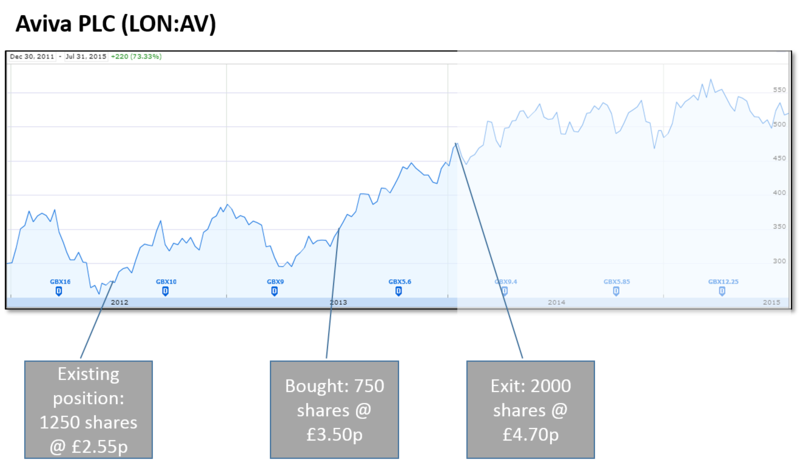 After an alarming fall a few months later I sold my remaining holdings at £5.65, and haven’t held it since late 2013 – which is just as well because the shares have fallen slightly. Was my original logic sound? Just about. I don’t put much weight on stock tips in the press but this one paid off. Was I right to sell? Yes. I didn’t know enough about the company to hold on, and any stock tip ‘expires’ once the shares have doubled in a year. Should I have held a much bigger position? No. But I shouldn’t have reduced my weight in early 2012 either. This was lack of courage in my convictions and me being grateful that the long shareprice slide had stopped. With hindsight this was a buy signal, not a sell signal. Permian Basin Royalty Trust. This holding was one of a few royalty trusts I held a few years ago, as part of an outright search for yield. It took me quite a while to realise that these securities essentially pay dividends by selling off the family silver. A capital loss is practically guaranteed. I exited my position in July 2012, shortly after the measurement period of this blog’s exercise. The gain was modest, but the timescale was tiny – only three weeks – so the annualised gain looks enormous. This result is spurious. Was my original logic sound? No. This was an unwise holding – as its subsequent share price illustrates. Was I right to sell? Yes. I shouldn’t have held it in the first place; in fact I held more of it than I did of some much better calls mentioned elsewhere in this article. Should I have held a bigger position? Definitely not. Lloyds Banking Group. This UK banking bellwether has a notorious story behind it. Formerly the most conservative of the giant UK clearing banks, it inadvisedly bought HBOS during the Global Financial Crisis and then needed to be bailed out by HM Gov. The pre-crisis shareholders, of whom I am one, took a pounding – especially those of us who tried to catch the knife as it fell in 2008. 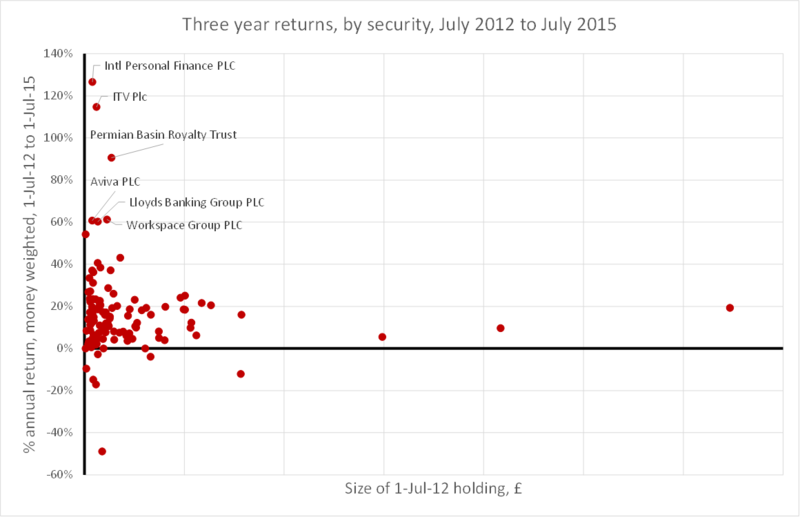 By the start of this blog’s story, 1 July 2012, the share price was around 31p. I haven’t bought or sold any shares since, but the share price has now almost tripled and dividends have been resumed. A good return over the last three years, but in no way one which compensates for the tribulations of 2008. Was my logic sound? To own it in 2012? Yes. The bottom was clearly behind us at that point, and Lloyds’ scale-driven competitive advantages are enormous. Was I right not to sell? Yes. No point in selling the nickle to recover the dollar. Should I have held a much bigger position? Yes, probably, but I was (and am) still so scarred by the 2008 experience that I am very leery of loading up on bank stocks. Private shareholders are explicitly on the hook for the systemic risks here. Caveat emptor. Workspace Group. Workspace is a specialist provider of commercial property to small/medium sized enterprises in London and beyond. I have quite a bit of direct experience of them as a tenant and rate them highly. They are not only a play on the London property market but they also have formidable competitive advantages and are very well managed. They are a quality holding. I have held a modest shareholding for many years. I had the luck or judgement (I can’t remember which, but I think I was starting to realise I had too many small holdings and should bulk up my conviction positions) to top up my holding in early 2014; this was at a premium of over 100% to my original holding, which is generally something I struggle to do, but the subsequent share price has proved this to be a good call. The current share price leaves me nervous but unless I get a reason to sell I am going to hold. Was my underlying logic sound? Yes. Workspace is a quality business and has gone from strength to strength as the London property market has surged. Even if the London property market had not performed well, Workspace would have done. Were my trades right? Yes! I even bought after the price doubled. Feel the conviction! Should I have had a much bigger position? Yes, darn it. Aviva PLC. This large UK insurer has been near the top of the FTSE-100 yield tables for years. I am always mindful of Warren Buffett’s obsession with insurance companies though I also feel that his logic doesn’t really apply to small UK private shareholders. But at some point the hunger for yield, AV’s appearance in various blogs/stock tip columns and the excellent service I have received as a customer led me to buy, in a tax-sheltered account. In fact I topped up in 2013 for some now-forgotten reason. I then sold in early 2014; from memory this was due to the press rumpus about their overpaid CEO, which shed an unflattering light on the business and its governance. I haven’t missed much since then. Was my original logic sound? There wasn’t much logic, it turned out. But I didn’t make any serious error getting into this stock either. Were my trades right? Roughly, yes. I wouldn’t mind if I’d carried on holding. Should I have had a much bigger position? No, not really. Not enough reason to. ITV. ITV is the leading commercial TV broadcaster in the UK. I remember this trade clearly. I opened this position in 2012 when I discovered in my day job that ITV was doing a terrific job for one of its clients (who I knew directly) – far more so than you would have thought based on the downbeat press coverage at the time. This client was in a growth sector and was the first in its sector to try ITV, so I realised that there would be a lot more advertising flowing to ITV from that sector. This felt to me to be a Buy signal for ITV. 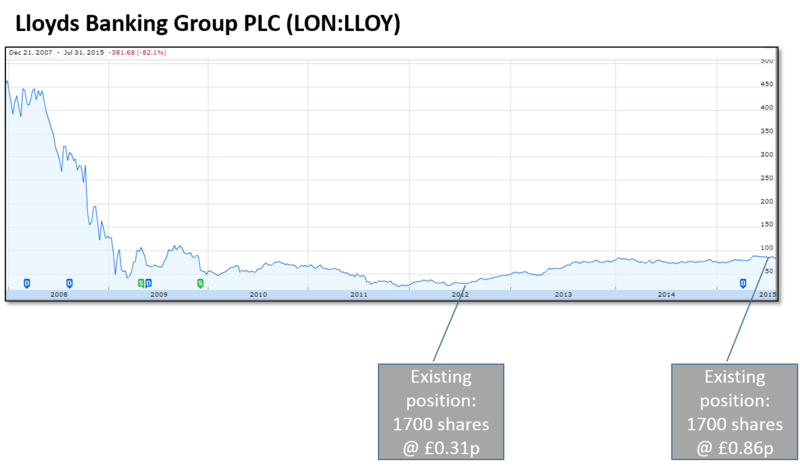 I was right, as you can see from the share price graph. 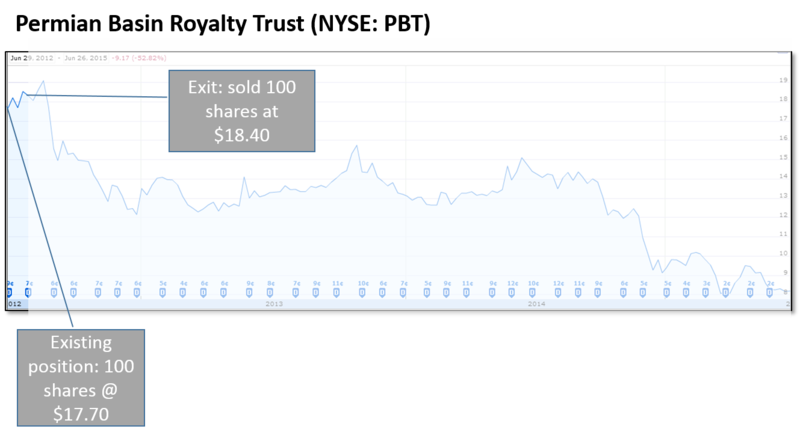 But I didn’t foresee the move into content that the CEO Adam Crozier and his chairman Archie Norman have led, which has taken the share price on to about 4x the level I bought it at in 2012. Unfortunately for me I sold at 2x my money, feeling that my original insight was now priced in to the share price. I’m never wrong to take a profit, right? Was my original logic sound? Yes. My day job gave me an insight that wasn’t obvious to the market. And I acted on it. Were my trades right? Ish. Yes I sold at roughly sensible times. But I’d have done better still by holding on. Should I have had a much bigger investment? Yes. I should have had the courage of my convictions. I had an edge, and I didn’t back myself enough. What’s the conclusion here? The preliminary conclusion is that in the two cases where I had a clear ‘hunch’ based on my professional experience, I got the investment thesis right. I should have backed myself more. 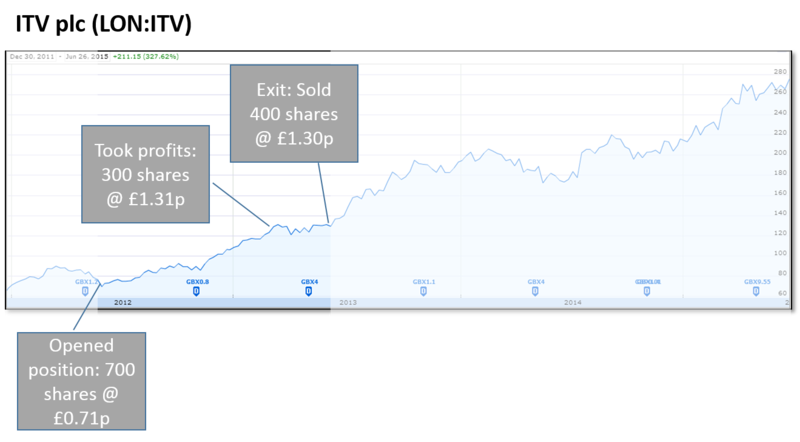 There is in fact a third such case in my portfolio which is Next PLC (return over the three year period: 36% p.a. ), where again I didn’t put enough money to work. Going forward I resolve to trust my ‘professional hunches’ better and put a more aggressive position on when I get one. I say the preliminary conclusion because I haven’t yet discussed the terrible returns in my portfolio. If they came about from ‘professional hunch’ investments then I need to reconsider. I’ll turn to those in a subsequent blog post. * NOTE: The investments tracked for this analysis are mostly UK holdings. This analysis is thus underweight US stocks relative to my overall portfolio. Really interesting read. This is a fascinating look at the psychology behind some of your greatest trades… I sometimes do the same, so I really related to this post. Catching a falling knife reminded me my trade (blatant gamble) on northern rock. Not a great outcome to lose all of it. But as you say, when there’s that gut feeling or hunch about something, we really should trust ourselves a bit more. I’m wary of financial stocks too, but predicted what happened to Barclay’s after the financial crash, unfortunately I didn’t have any spare capital to take advantage of the post crash recovery 😦 better luck/judgement/free cash flow next time!